An exact blend of doe urine, doe-in-heat, vaginal scent, doe tarsal gland and passion inducing scent fixatives. All breeding age bucks are drawn to these strong natural doe urine gland scents. Use in scrapes to leave a soon-to-mate essence, lay a breeding interest trail or hang in shooting lanes near stand. 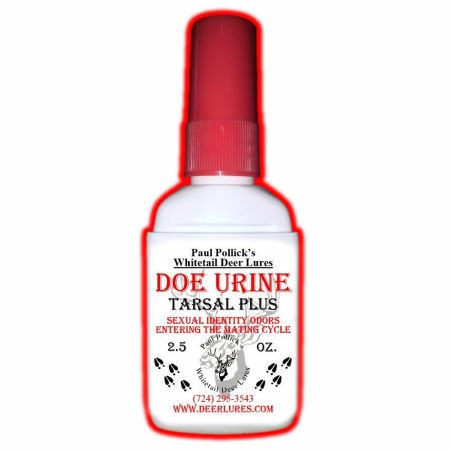 I was given a sample of Doe Urine Tarsal Plus, by another hunter I met while hunting in Ohio three years ago. I was very impressed with the product. 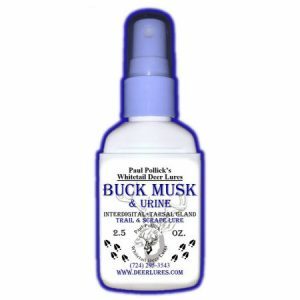 I have been a bow hunter since the early 70’s and have tried a number of different urines. 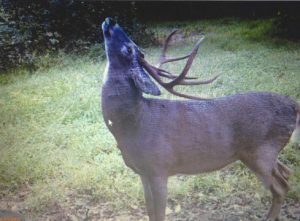 This lure seems to have such a calming effect on the deer and just keeps them hanging around. 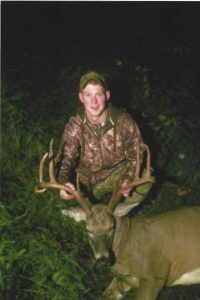 My son shot a buck in 2008 using Doe Urine Tarsal Plus and I shot this one this year. My buck was trailing a doe that got on the scent trail I put out, and the doe just hung around and eventually drew the buck by me and I shot it at 26 yards. Thanks again for the great product. I will be calling you again next year.